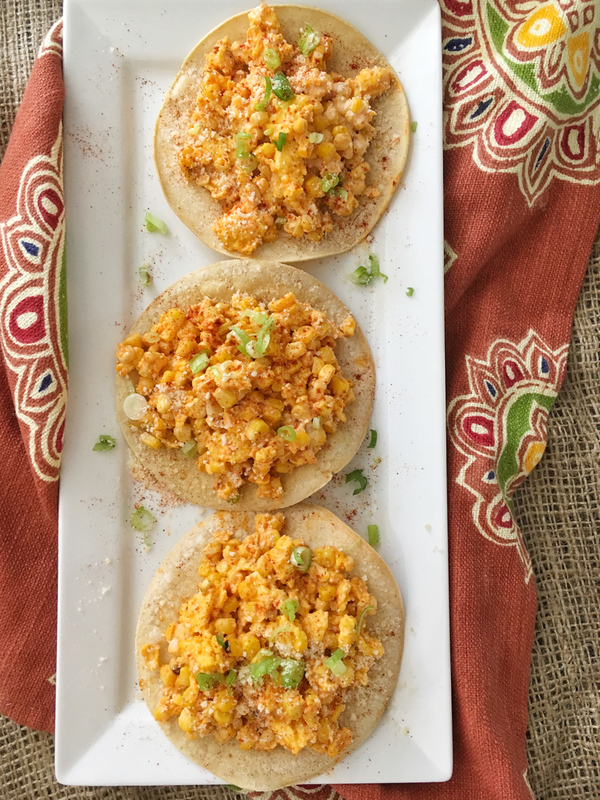 The famous grilled Mexican street corn meets eggs and tortillas in this breakfast mash-up recipe. 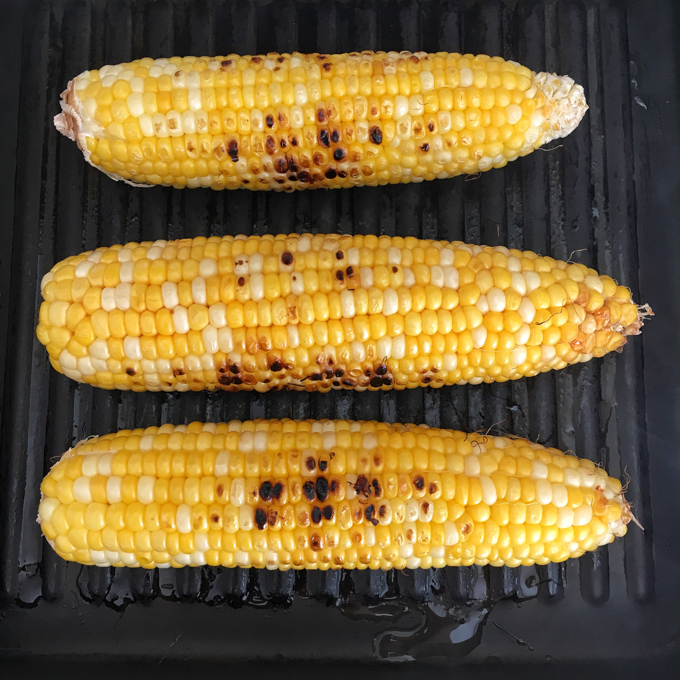 I’ve been seen lots of recipes for Mexican Street Corn online lately, which is typically made by grilling corn and then slathering it in Mexican crema, mayo, cilantro, garlic, chili powder, lime and cotija cheese. And while I’ve been itching to make it myself, I wanted to do something a little different with it. And lately, I’ve been on a tostada kick – making some version of these and these because they are so dang easy to whip up for dinner. So, I threw eggs into the mix and this recipe mash-up was born. 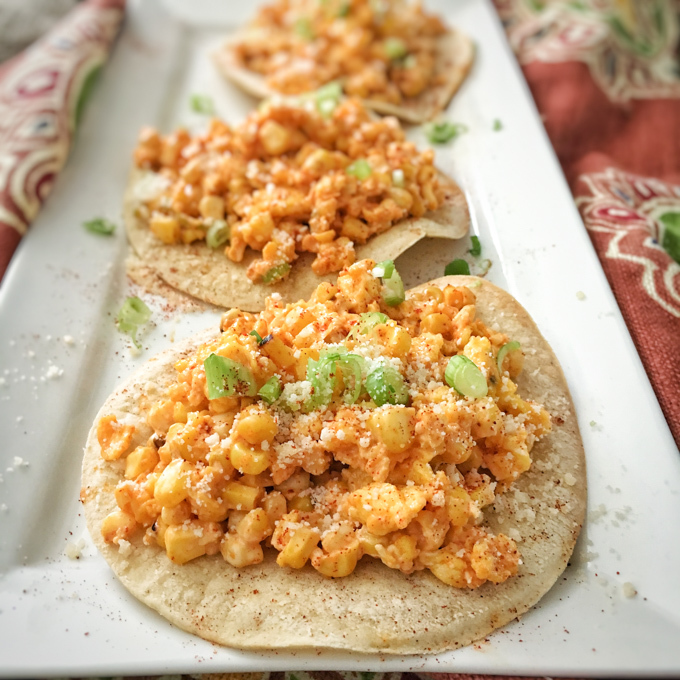 Now if you want to just make the corn part of this recipe, slather on the the topping and skip the egg tostada part, I won’t blame you. In a large bowl, mix together yogurt, buttermilk, cheese and smoked paprika. Gently fold in corn kernels. Set aside. Preheat oven to 400 degrees F. On two greased sheets, place tortillas. Bake for 6-7 minutes and then flip over. Bake other 6 -7 minutes per side. Remove from oven. While tortillas are baking, heat large skillet over medium heat and add oil. Add eggs and cook until scrambled, stirring every 20 seconds or so. Remove eggs from pan and gently fold into corn mixture. Top each tostada with egg/corn mixture. Sprinkle with cilantro or chives. Serve each with a lime wedge for guests to squeeze juice over top. This is a great way to use up leftover cooked or grilled corn on the cob. Let me say, for a gal who doesn’t always eat a lot of eggs, these were SO GOOD. As in eating also for lunch and dinner good. As in now in my regular recipe rotation. 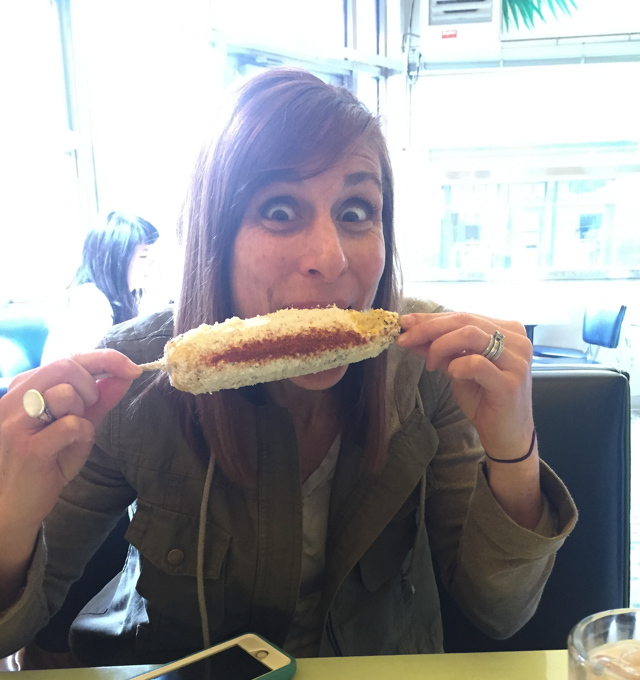 Have you ever eaten or made Mexican Street Corn? How about tostadas? I love and adore street corn, and this version looks like an awesome way to incorporate it into breakfasts! <3!! Wow! Those look amazing. No way could you have a bad day if you started your day off eating these for breakfast! Ok definitely making these!!! 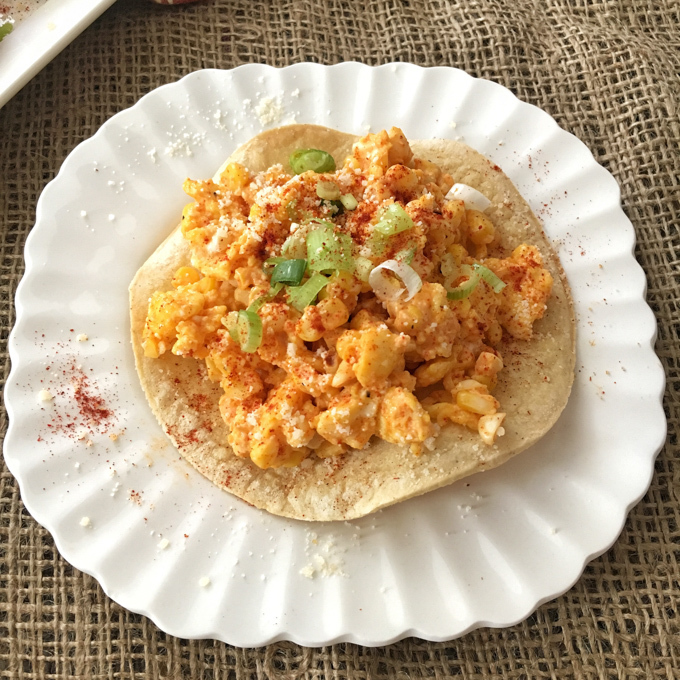 Love the egg addition ( we eat eggs at least once a day) and love serving the dish on corn tortillas. Would make a perfect weeknight summer meal!